Ladder and tailpost with winch and cartwheel. 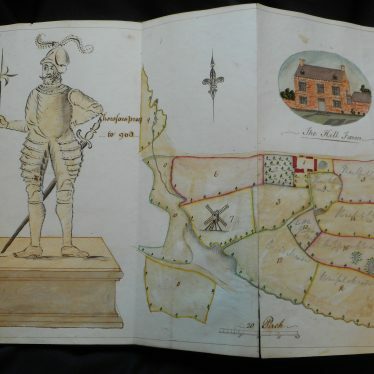 The windmill was built on Hill Farm in Danzey Green, near Tanworth in Arden in about 1830 by Robert Summers a millwright. The Midland type brick round house was to protect the trestle from the elements. 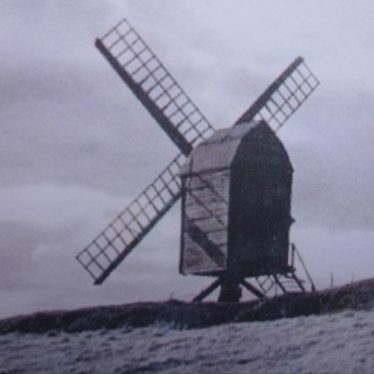 The mill features four common sails, a pair of stones and wooden machinery, plus at the rear a ladder and tailpost with winch and cartwheel. The 18 metre sails turn a wooden cog wheel, that turns the mill stones. For the mill to operate efficiently the mill requires the wind to be blowing at 25 miler per hour. 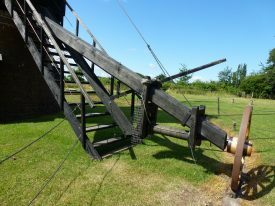 The tailpost passes from the body of the mill and down the side of the ladder and connects to a cartwheel. The tailpost also has a lever (called a Talthur) that is attached by a chain to the ladder, and allows the ladder to be raised off the ground to enable the mill to be turned into the wind. 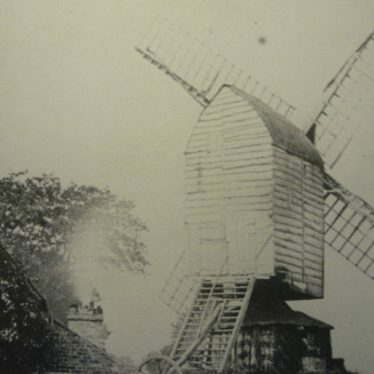 In 1874 the mill ceased to work after the sails blew off in a severe storm. 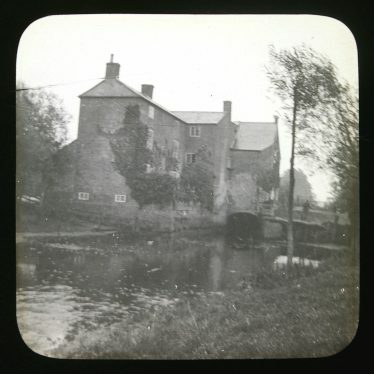 In 1969 the Avoncroft Museum of Buildings in Bromsgove negotiated with the mill owners to move the mill to their site. 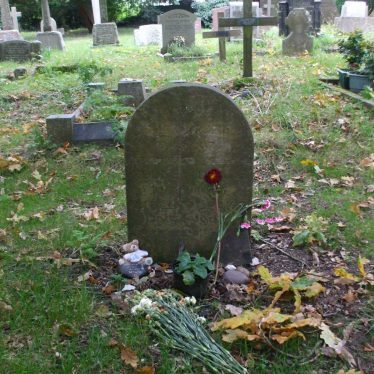 It took seven days to disassemble it, including the brick roundhouse, and two years to restore and rebuild it. When the mill was being dismantled it was found the main post was beyond repair and could not be used. A search was made to find a replacement, fortunately Baxterley Post mill came to the rescue with a suitable replacement. 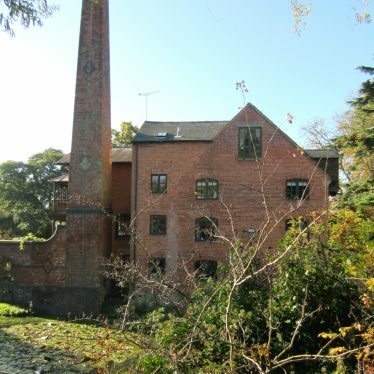 The work was completed in 1971 and it is the only post mill in working order in the West Midlands. 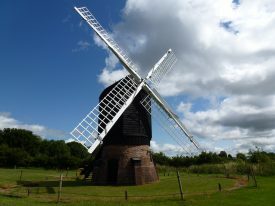 On 16th July 1986 the windmill became a Grade II Listed Building. In January 2012 a storm with gusts of 75mph broke one of the sails in half, which pierced the roof costing many thousands of pounds to repair.